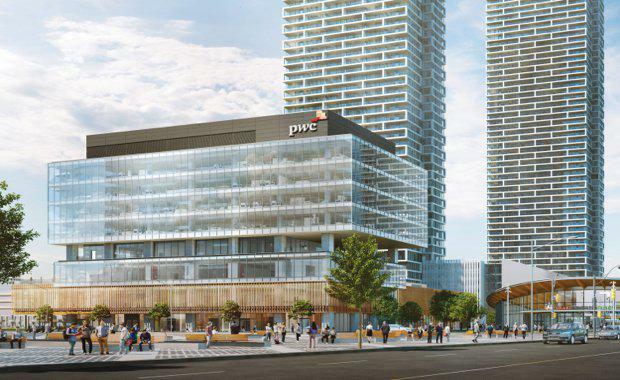 Construction has commenced on the PwC-YMCA Tower, the beating heart of an emerging downtown precinct in the City of Vaughan, Canada. Situated at the heart of SmartCentres Place, Canada’s largest urban development project, the tower was designed by Diamond Schmitt Architects and will combine class-A office space, amenities and services. The developers are Smart Real Estate Investment Trust (SmartREIT) and its Chairman Mitchell Goldhar. 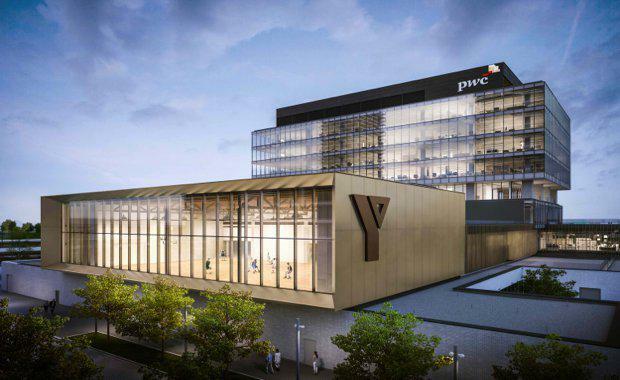 The 236,000 square foot mixed-use tower will be home to professional services firm PwC Canada, a 100,000-square- foot YMCA, a 20,000-square- foot public library, 10,000-square- foot community space and 3000 square feet of retail. “The PwC-YMCA Tower further illustrates the architectural quality and urban design excellence that is a hallmark of this smart, pedestrian-friendly precinct,” said Diamond Schmitt Architects Principal Donald Schmitt. The eight-storey building will rise adjacent to the Diamond Schmitt-designed SmartCentres Place Bus Terminal, to be operated by York Region Rapid Transit Corporation, and the terminus of the Toronto Transit Commission’s extension of the Spadina subway line. Both transit nodes open later this year. Diamond Schmitt architects designed the tower to become the development's Great Hall; a gathering space for the community connecting the transit hub to the future residential neighbourhoods. Interlocking forms distinguish the building and provide a series of roof terraces for the community, the Y and the office tenants. A frieze of gold anodized aluminum fins wraps and unites the diverse programming of this mixed-use building. 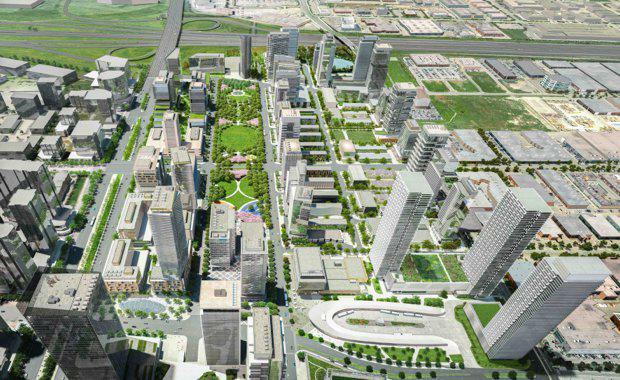 SmartCentres Place, Canada’s largest urban development project. Together, SmartREIT, Mr Goldhar and other partners will develop a 100-acre master plan designed by Diamond Schmitt and integrate approximately 17 million square feet of commercial, residential and retail space around a nine-acre central park. "The PwC-YMCA Tower is the cornerstone of this future community that prioritises public infrastructure and amenity space to create a highly desirable, 21st century urban centre,” Mr Goldhar said. The tower is the second commercial project at SmartCentres Place, following the opening of the KPMG Tower in 2016, also by Diamond Schmitt Architects, and is expected to open in 2020.